Between the heat and humidity, summer days in the Greenfield area can be quite uncomfortable, but if you have a dependable air conditioning system, it can take the edge off the heat. To keep your system running reliably and efficiently, you need a reputable HVAC company that can handle all your AC services, including system inspections, routine maintenance, system replacements, and new installations. To learn more about our HVAC services, contact Service Plus today at 317-434-2627! 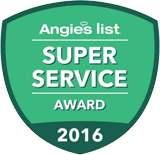 We also service all major brands, including Rheem, Carrier, Lennox, and others. Our maintenance experts will follow all manufacturer recommendations, ensuring your system warranty remains intact. To schedule maintenance services for your air conditioner, contact our team today! We serve the entire Greenfield area, from Interstate 76 to Weber Road. We feature fully-stocked trucks, and knowledgeable technicians that can complete most repairs on the first visit. For AC repairs in Greenfield or Hancock County, contact us today! Whether you live near Brandywine Park or Main Street, our team at Service plus can help with all your AC needs in the Greenfield area.